Nowadays British education is not only a prestigious trend, but it is also a proactive standpoint. Whilst British educational system successfully combines innovative teaching methods, general cultural development of the personality and understanding of British traditions and values, graduates have high chances for successful career perspectives at world-ranking establishment. British degrees are recognised worldwide and leading companies are primarily interested in graduates from British schools and universities. Qualitative education is the substantial guarantee of the successful future. 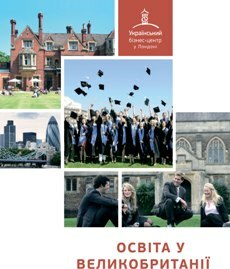 Ukrainian Business Centre in London provides you assistance and advices within the field of British education. Our consultants graduated from elite British universities and are familiar with British education system.